Its home - so make the surrounding lawn lush and inviting year round. Replacing natural grass with PolyTurf artificial grass will reduce annual maintenance bills and give individuals more time to play - instead of work - in the yard. 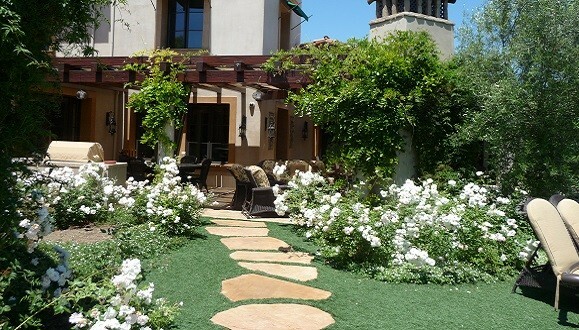 Several cost-effective options are available for creating the perfect waterless lawn. Easy to install. Easy to enjoy. The western U.S. often faces water shortages and drought. It is up to each and every one of us to do our part to conserve water. Residential lawns are one of the largest water consumers of all and often require fertilizer and weed killer which runs off into storm drains and pollutes rivers, streams, and eventually the ocean. 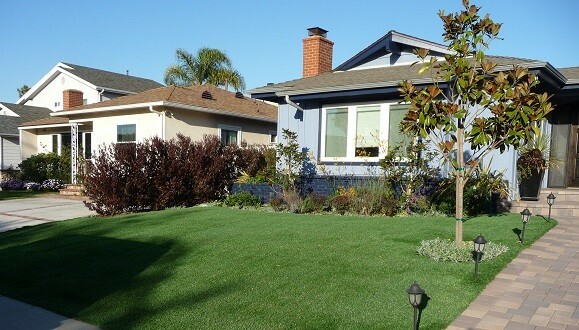 Replacing your natural lawn with artificial grass will quickly pay itself pack with the money saved on your water bill.